Olaf is going to be spending this Summer aboard the cruise ships of the Disney Cruise Line! 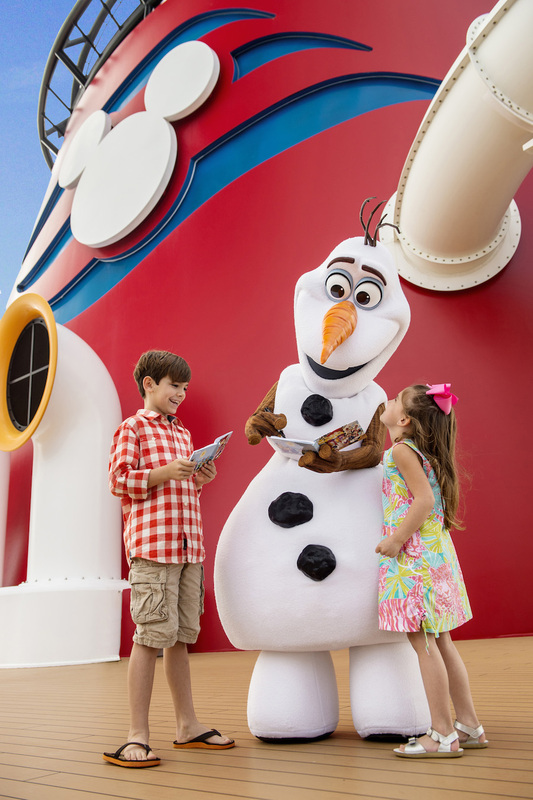 You will be able to see Olaf, Elsa, Anna and more Frozen related fun on all four of the Disney Cruise Line ships and Castaway Cay. We’re cooling down Castaway Cay with the addition of Olaf’s Summertime Freeze bar! Serving non-alcoholic specialty frozen drinks in souvenir cups, the creative menu features refreshing beverages such as “Olaf’s Flurry Freeze,” “Sven’s Carrot Delight” and “Warm Hugs.” Olaf’s Summertime Freeze will be near the Pelican Point tram stop by Castaway Cay Family Beach. Ready for A Disney Cruise? Don't miss out on the fun this summer. Book your Disney Cruise or get a free quote now from your Disney Travel Specialists at Only WDWorld Travel! 0 comments to "Disney Cruise Line Gets "Frozen" This Summer"